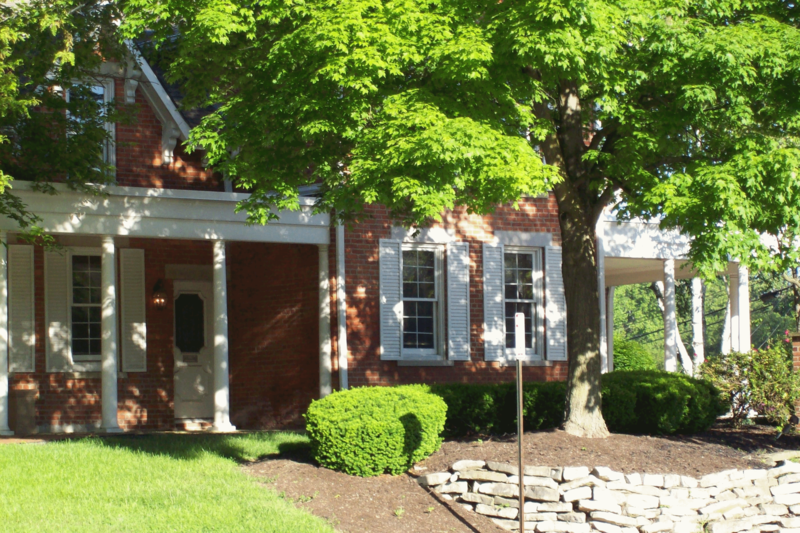 SEM Architects developed and renovated the office building at 167 East State Street in Westerville, Ohio. 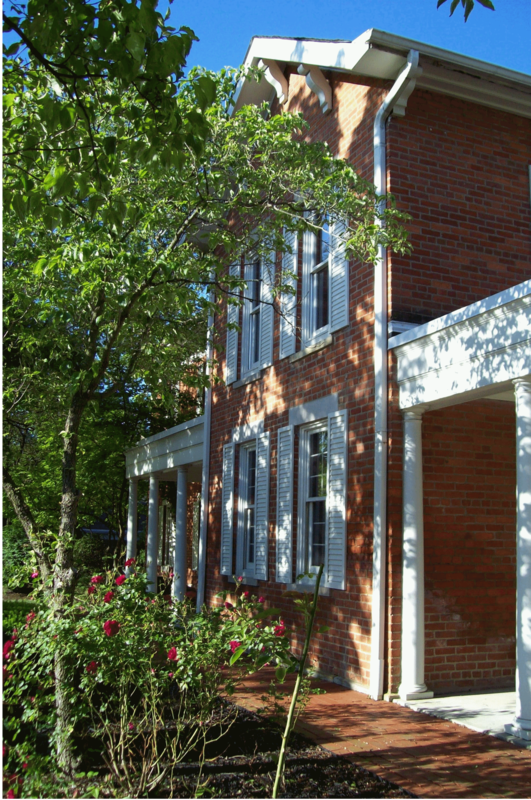 The building is comprised of a historic 2-story residence with a substantial 2-story rear addition. Multiple entry points give the opportunity for tenants to have their own entries / identities. Each floor of the building, including a finished basement level is between 3,000 - 5,000 sf. The building consists of single offices and office suites ranging from 150 sf to 2,000sf in size with shared common facilities. The common facilities in the building include kitchenettes, public toilets and conference rooms. A well landscaped property on a prominent corner parcel, the building is a landmark building uptown. Inside the building, an attractive tiled public lobby, original stained woodwork, and a historic stair and balustrade greets visitors. The stained woodwork and dimmable lighting continues in the public corridor areas throughout the building. 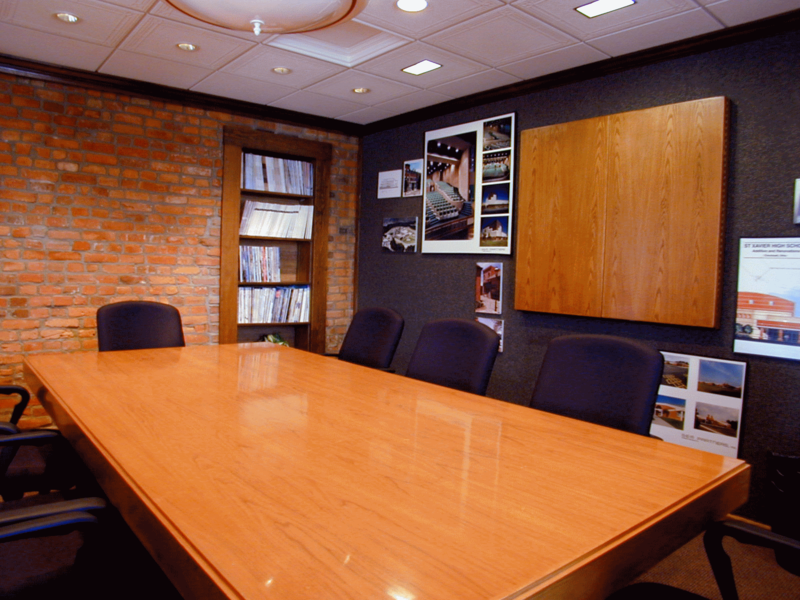 The main conference room that is also a shared space is equipped with a motorized projection screen, recessed dimmable lighting, and secure Internet. Quality materials were used in the renovation including porcelain tile in the lobby, ceramic tile in the restrooms, tegular tile acoustic ceilings, high-end commercial carpeting, and stained woodwork trim on all levels of the building. Current tenants within the building include the Westerville Symphony Orchestra, professional lawyers, counselors, psychiatrists, health care providers, financial planners, an event planner, a civil engineering firm, and SEM Architects.